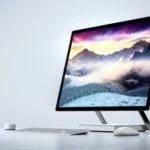 In addition to the launch of its new all-in-one PC ‘Surface Studio’, Microsoft also revealed some new desktop messaging features today during a Windows event in New York, that will be included in the forthcoming Windows 10 Creators Update. What seems to be the company’s take on Apple’s iMessages, Microsoft’s program manager Allison O’Mahoney said that “it will become your go-to platform for instant messaging” (via CNET). 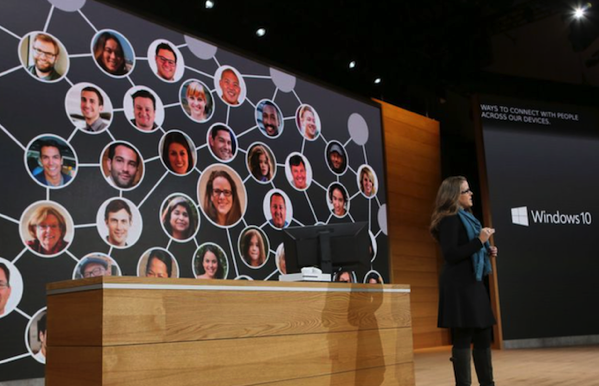 Microsoft discussed a new “My People” feature, that will allows you to select the people with whom you communicate the most, and their pictures will appear on the bottom of your desktop screen. Users will be able to drag any content to the person, add an optional message and send the information without opening a separate application to attach a file. Emails, text messages from Windows and Android phones, and Skype calls from your favorites will appear as messages directly on your desktop in the Windows 10 Creators Update. The ability to send and receive messages from desktop to phone and back again appear to be Microsoft’s answer to Apple’s iMessages, the iOS instant messaging service that you can access across Apple devices. The next Windows 10 update will also bring the ability to send and receive “shoulder taps,” live-action emojis that will appear above your favorites on your desktop, Microsoft highlighted. The company will release the Windows 10 Creators Update in spring 2017.